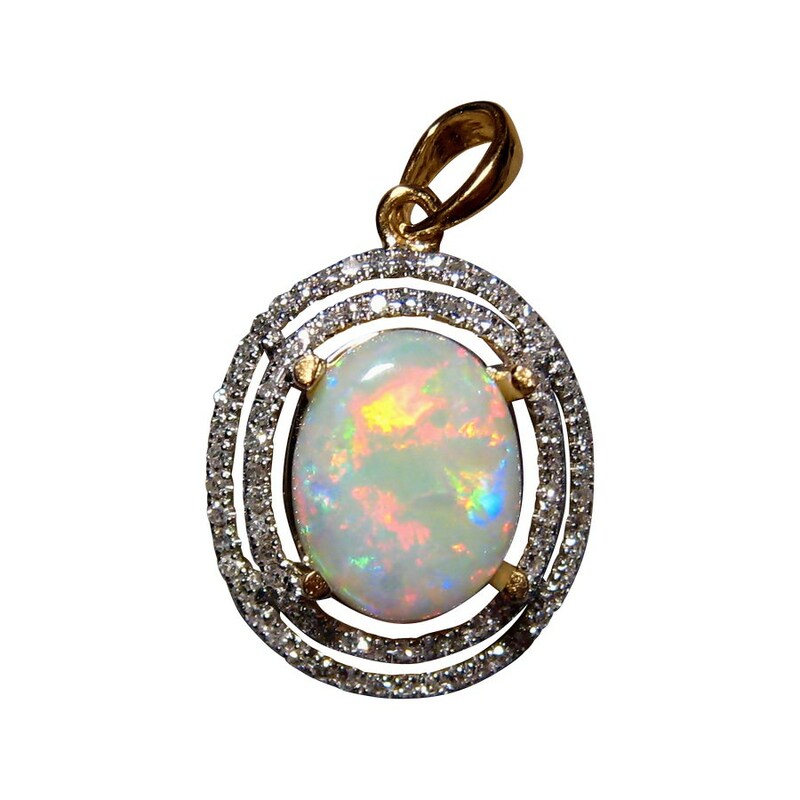 A White Opal pendant with Diamonds in 14k Gold. 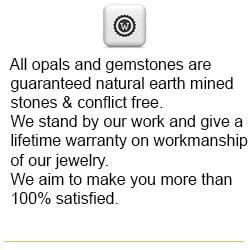 A beautiful pendant with an oval Coober Pedy White Opal surrounded by a double halo of small, bright and white Diamonds adding sparkle and size to the pendant. 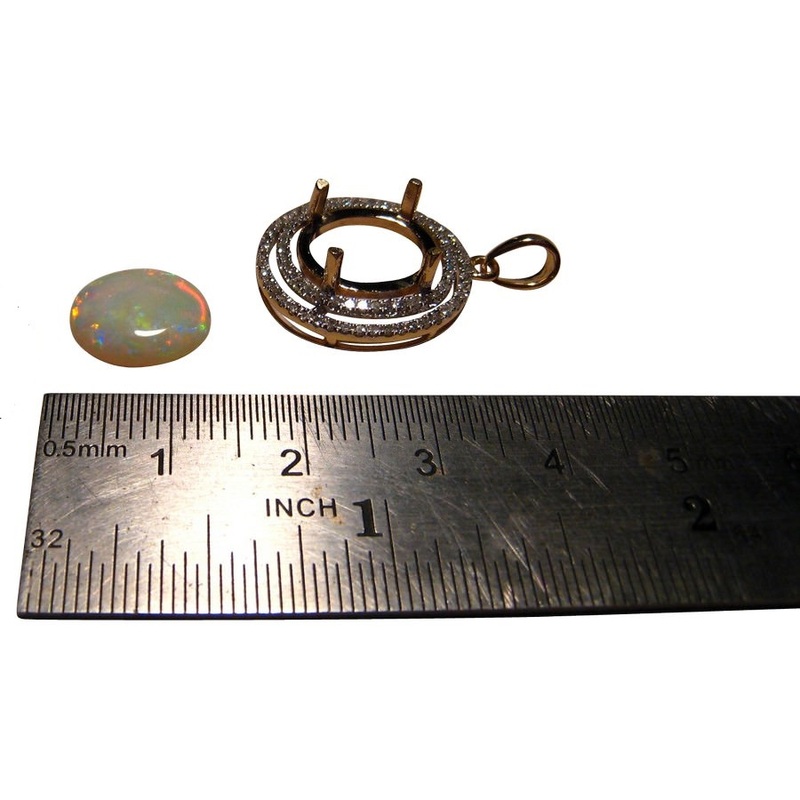 The pendant measures just over one inch long including the bale with the Opal weighing 2.5 carats accented with 80 Diamonds. 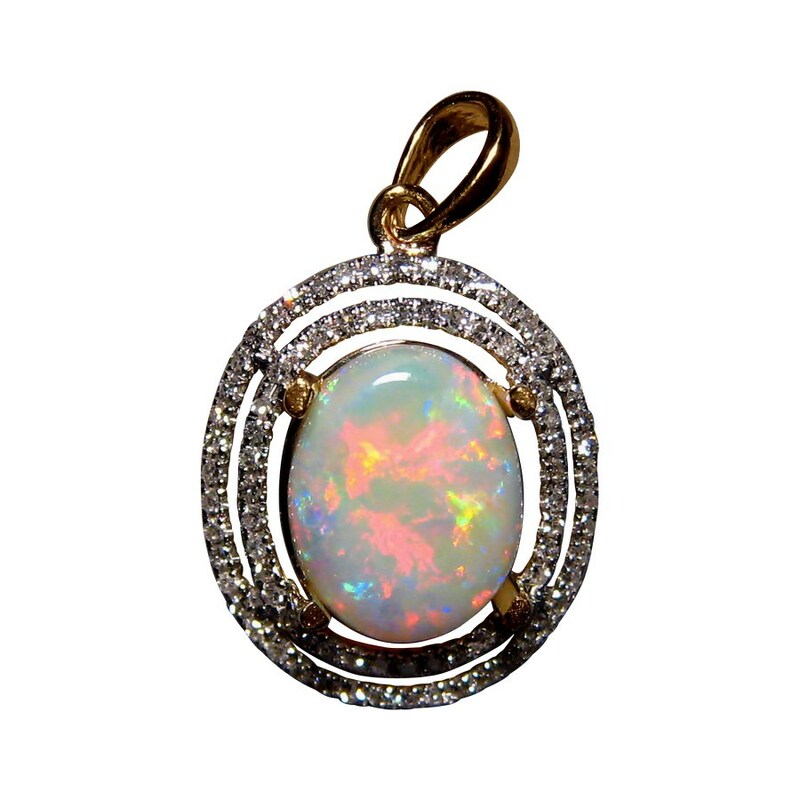 It is ready to ship in 14k Yellow Gold but as the Opal is not yet set, the pendant can be made in White or Rose Gold which will take about 21 days to make before securing this exact Opal and shipping. 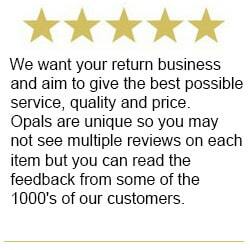 The Opal is from a miners vault so allow two days before shipping in 14k White Gold. 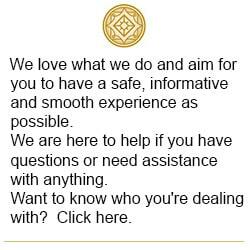 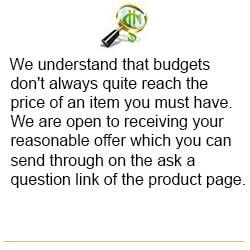 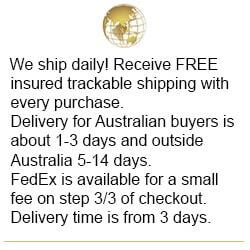 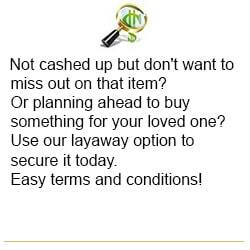 If you would prefer the stone in a different pendant or ring setting, contact through this product page to discuss options and receive a no obligation quote.